Your weather in quick glances and detailed looks. Need to quickly see if it will rain at home or at work today? Or check the humidity or UV index over the next few hours? Or look at the hourly forecast this weekend? Partly Sunny has you covered. Detailed looks at what’s happening throughout the hour and the day at your locations. 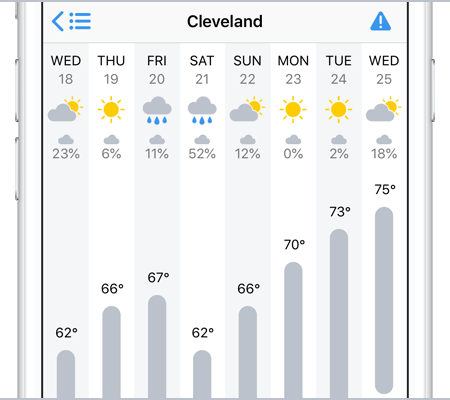 Swipe up in Today View for a quick glance at the week’s forecast. 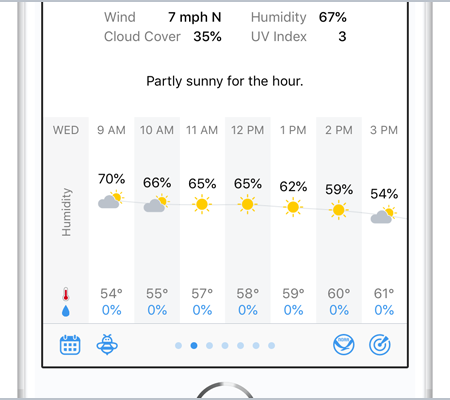 Select any day in Week View for a detailed look at that day’s forecast. 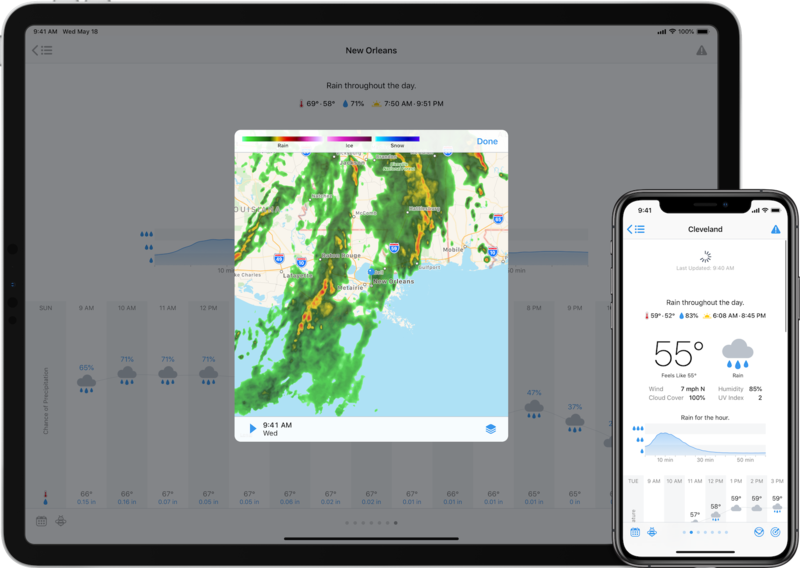 Join the Club to unlock interactive radar, pull-to-refresh, yesterday’s weather, time machine, more saved locations, and custom app icons. Toggle manually in the app’s settings or with a handy gesture. Or toggle automatically based on your device’s screen brightness or your selected location’s sunrise and sunset times. 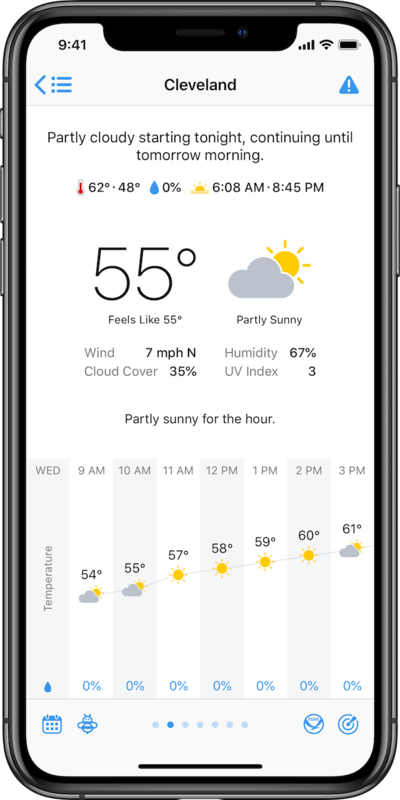 While you may not always enjoy the weather, hopefully you enjoy checking the weather with Partly Sunny. 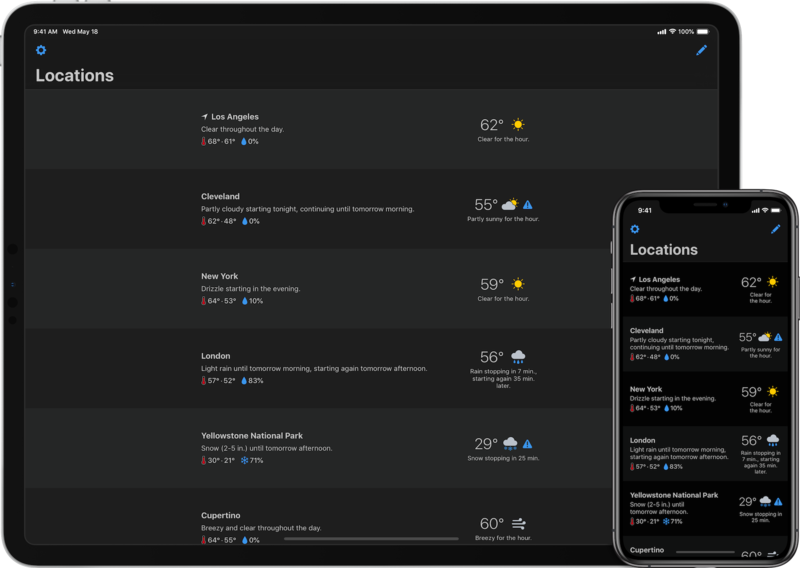 Forecasts in Partly Sunny are powered by Dark Sky. See how your selected conditions change over the next few days. 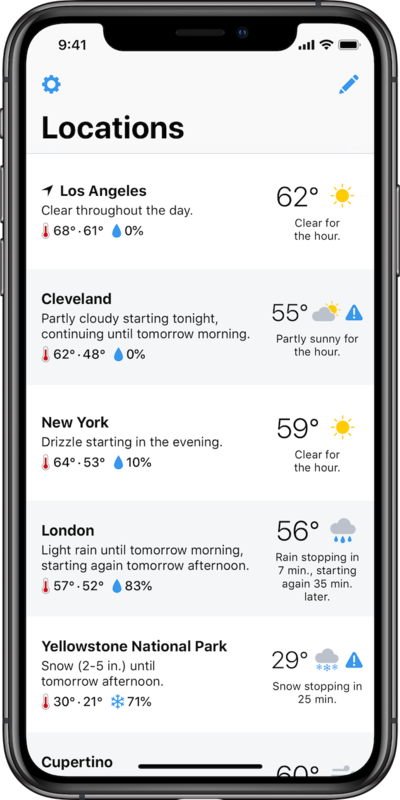 Choose from temperature, precipitation, cloud cover, humidity, UV index, wind, and more. 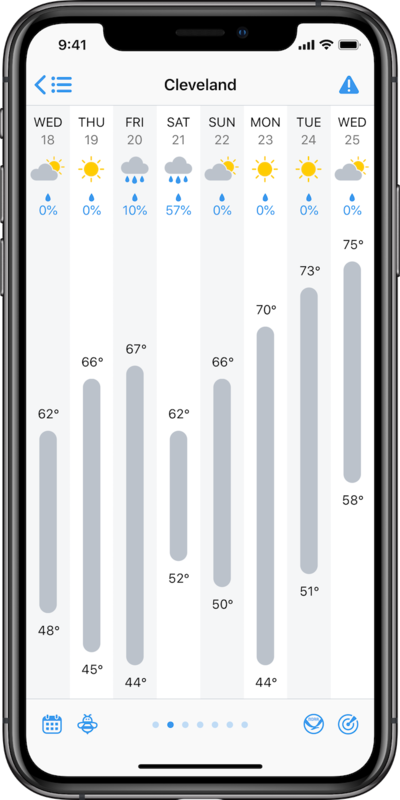 Tap the graph to change the plotted condition. Tap & hold on any hour for a detailed look at that hour’s forecast. While still holding, drag left & right to scrub through other hourly forecasts. 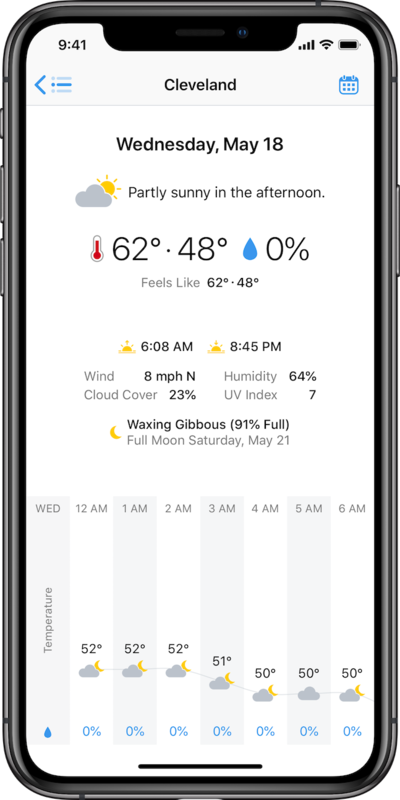 Customize the condition that displays with daily temperatures. 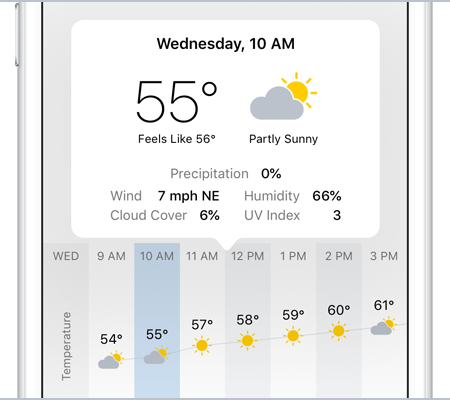 Choose from precipitation, cloud cover, humidity, UV index, wind, and more. 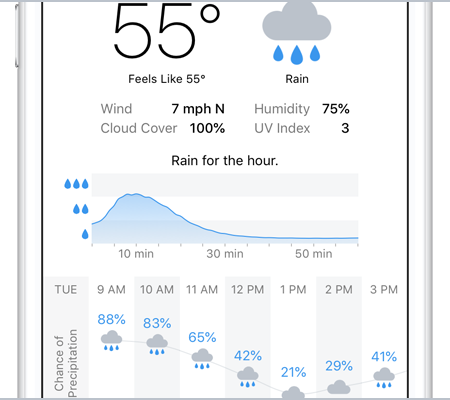 When it’s raining or snowing, a graph will show if the precipitation will be light, medium, or heavy (U.S. & U.K. locations). 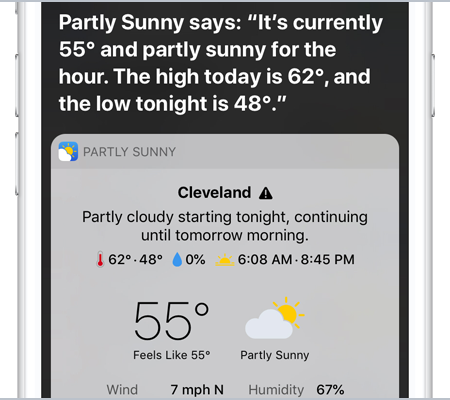 Ask Siri to check weather forecasts and current weather conditions (like precipitation, humidity, and UV index). See what’s happening currently and today at your selected location. Expand to see what’s happening over the next few hours and days. 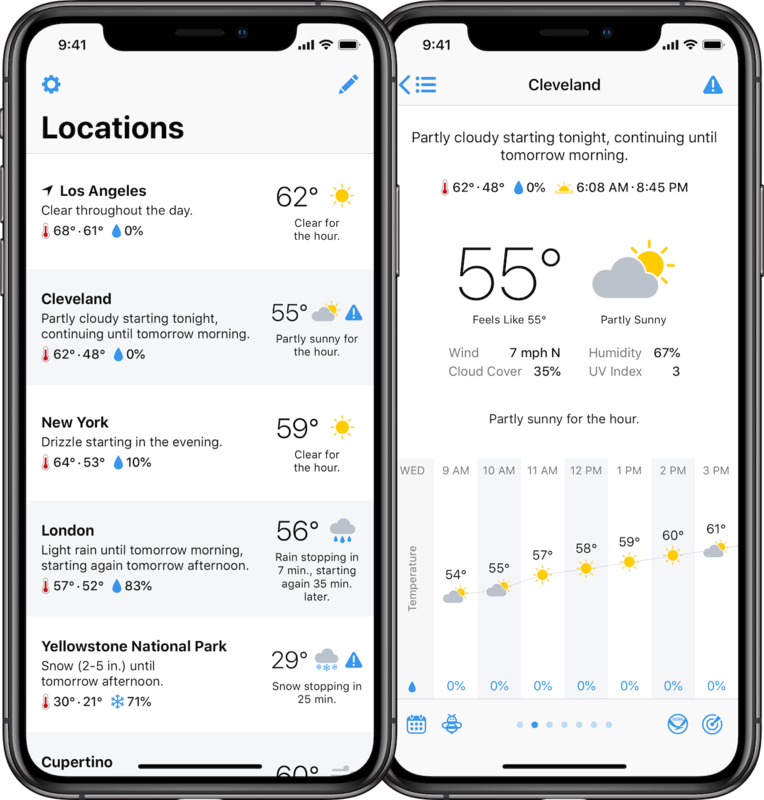 Partly Sunny has been featured in Apple’s “New Apps We Love”, MacStories, AppAdvice, and Lifehacker.